Welcome to Island 10 Fishing Retreat! 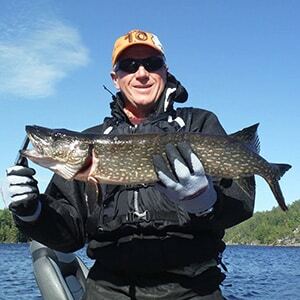 You’ll love the fishing on Lady Evelyn Lake! 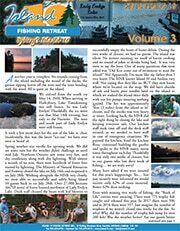 Check Out Our Fishing Stories! Lady Evelyn Lake is one of the best Walleye lakes in Northern Ontario. When you’re not on the water or in your cabins, we’ll take care of you here. Engineered log cabins with all the amenities you’d expect – and more! Having a great fishing boat makes everything more enjoyable! There’s nothing like Lady Evelyn Lake, and nowhere better to enjoy it than Island 10. 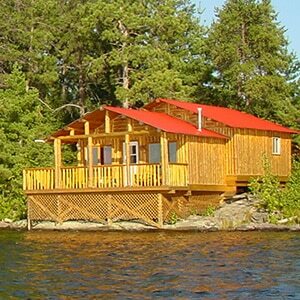 Welcome to “Active Seclusion” at Island 10 Fishing Lodge. We’re on Lady Evelyn Lake, one of the best lakes in Northern Ontario to catch Walleye, Great Northern Pike, Smallmouth Bass and more! There’s no road access to Lady Evelyn Lake, so there are very few people on the water. Despite our remoteness, you’ll find our service and amenities top-notch, all at prices comparable to lodges on more accessible lakes. 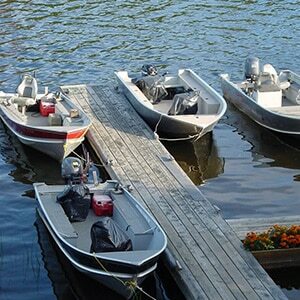 Our All Inclusive Package (American Plan) includes everything for a real Northern Ontario fishing holiday! Land Your Next Trophy at Island 10! Check Out Some Of Our Guests' Catches!